"Sandica III" is primarily used for cruising and has been lightly fished over the last 6 years. In the cockpit, there is a custom varnished table. A Bluewater offset, fighting chair for the serious angler is in storage. All the normal features you'd expect from an offshore sportfish includingwater maker,Eskimo ice chipper, andlive bait wells. She is currently located in Panama City, Panama. 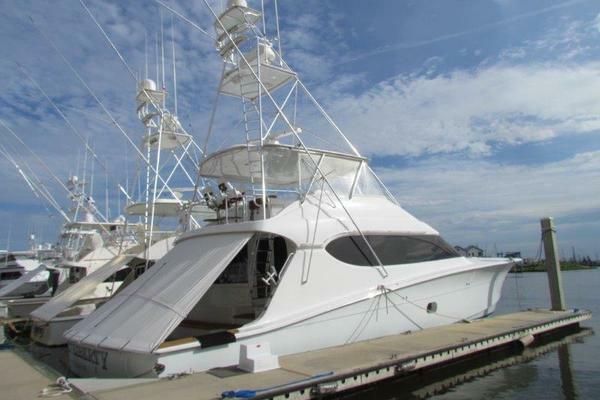 Seller will trade for larger enclosed sportfish! 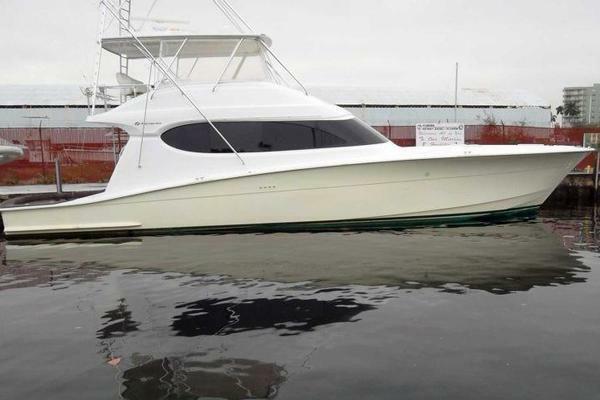 United Yacht Sales New Jersey would love to guide you through a personal showing of this 68' Hatteras Enclosed Bridge Sportfish 2006. This yacht for sale is located in En Route, Florida and priced at $1,300,000. For a showing please contact us by filling out the form on this page and we will get back to you shortly!